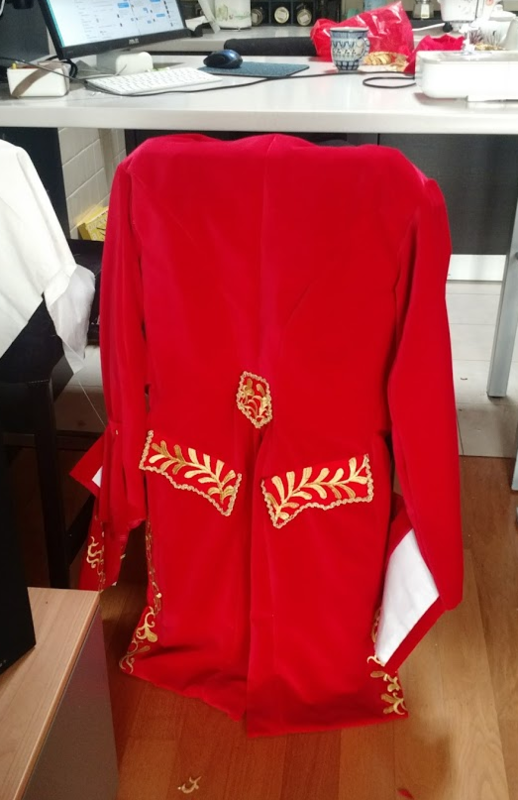 I am sorry of not being able to offer you some pictures of the finished outfit. 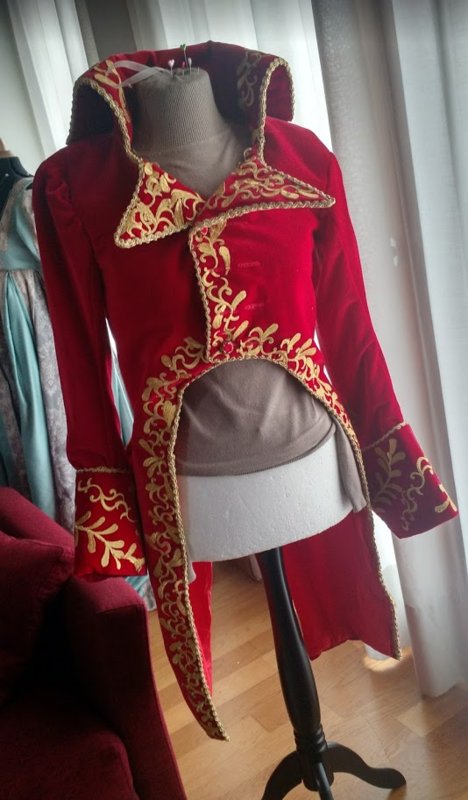 However, I am very proud of this jacket, and I wanted to share it with you. 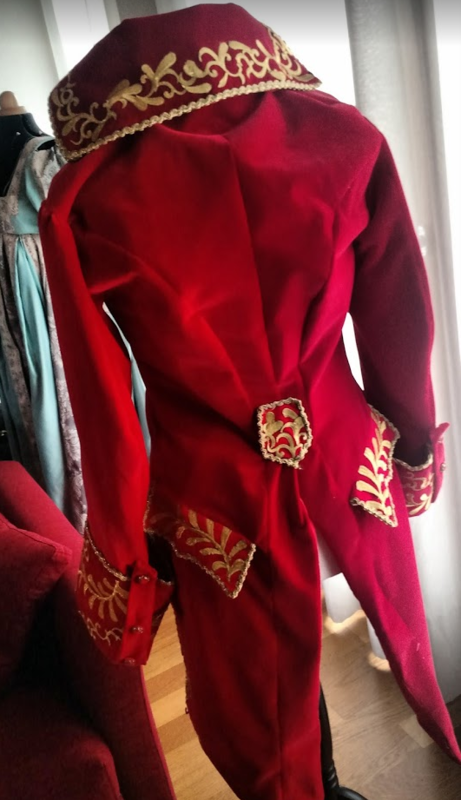 A customer asked me to make him a Red Death costume from The Phantom of the opera movie. 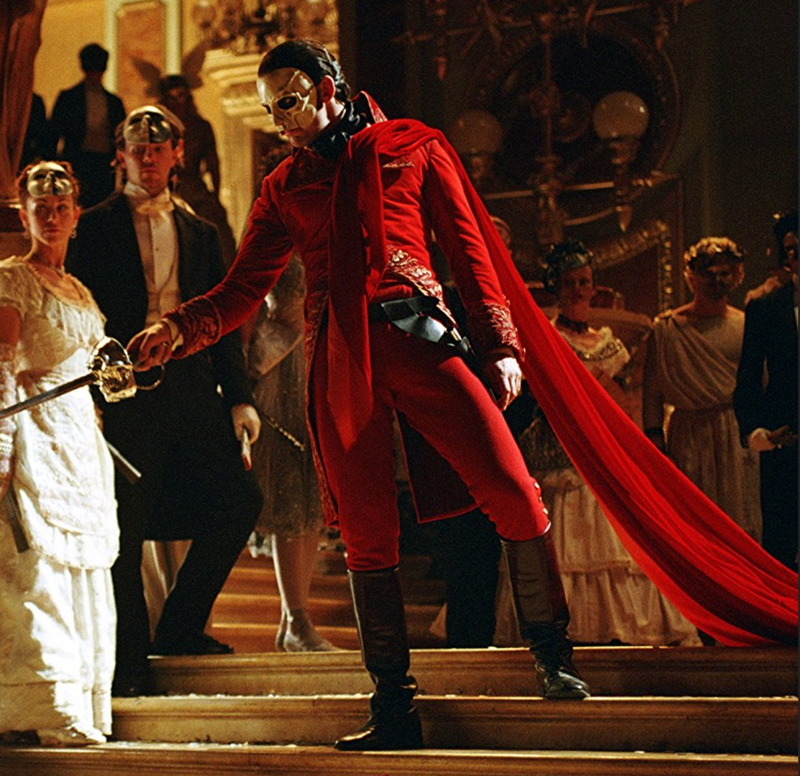 It is basically a regency jacet, but with the drama a proper Phantom needs. There are many cosplayers that have done this costume, but we tried to give our own touch. First of all there’s the proper space above the waist to allow the shirt-sash to be visible. Then I wanted to stiffen all the jacket to give it some structure. The original one is much softer, but I like it better if it doesn’t wrinkle. On the female mannequin it’s a bit sad, but I can assure the fit on the man was much better. 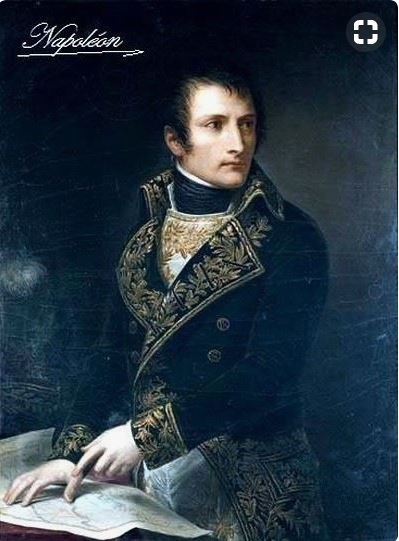 On the embroidery part, I think much of the inspiration for this jacket came from Napoleon’s own wardrobe. 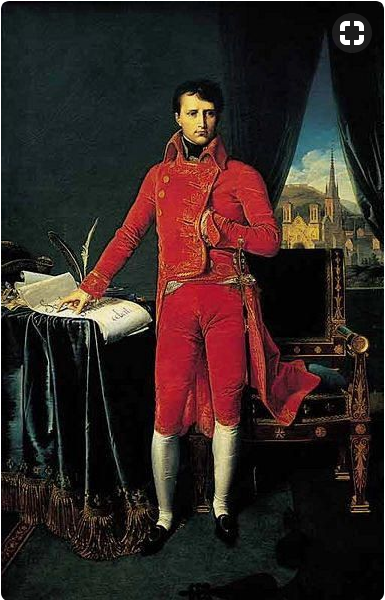 There’s at least one red jacket like this, worn with the lapel buttoned. The man had a taste for dramatic outfits. Just think of the hat. 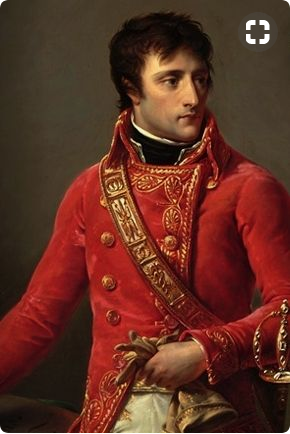 However, any respectable emperor wouldn’t go around with a lurex emrboidered jacket. 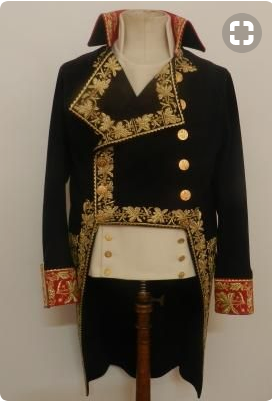 He’d have a properly done goldwork, that was off the budget and would have required an amount of time I didn’t have. To get a good compromise, we got some adhesive appliqués. It mau sound like blasphemy, and it was quite hard to make them stick to the short pile velvet. But stitching them wouldn’t have worked, at least without doing it by hand. Machine stitch opens the threads and doesn’t keep the shiny and tidy effect of the appliqué. We got several different appliqués, and I cut and matched them to get a nice effect. The original one had two types of plants, we tried to replicate that effect before choosing this, and this was the best looking option. 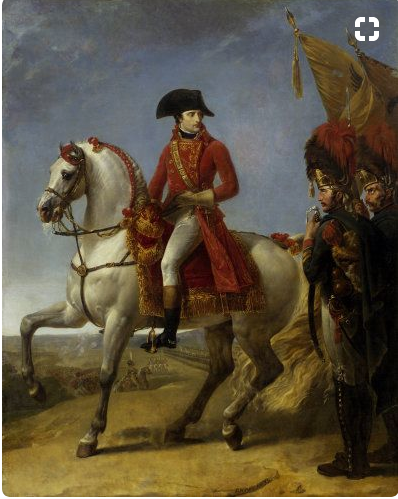 The original breeches didn’t match the color of the outfit. if I remember correctly, they were edited in post-production. However we got a pair made for theater and I dyed them to match.